These Yiddish terms aren't widely known, but they're a lot of fun to use. 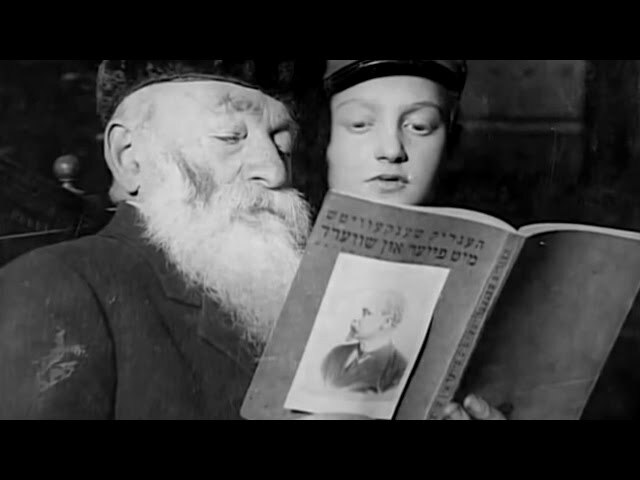 A sampler of Yiddish films (with English subtitles) on the Internet. A guide to Yiddish performances and festivals around the world. From kibbitz/kibbutz to mitzvah/mikveh, we round up some easily confused Hebrew and Yiddish terms. Which Yiddish Word Are You? A brief glossary of important and commonly used Yiddish words and phrases. Ashkenazi "Old Country" music found new life in America in the late 20th century. The People of the Book have created a sizable corpus of secular prose and poetry. Even as fewer American Jews spoke Yiddish at home, various Yiddish words and phrases were adopted into the American lexicon. A cultural phenomenon of Jewish America in the early 20th century. Yiddish writers emigrated from Europe, and though Yiddish writing all but ceased after the Holocaust, it is seeing a small rebirth today. An overview of the grammar — and the many ways this Jewish language differs from Hebrew.